The first 'Pat Courtenay Presents' gig was last night and it rocked. Local readers will probably know Pat from Radio Nova but this is something new. In a bid to help showcase local and rising bands, Pat put together a fantastic night of rock (hopefully the first of many). 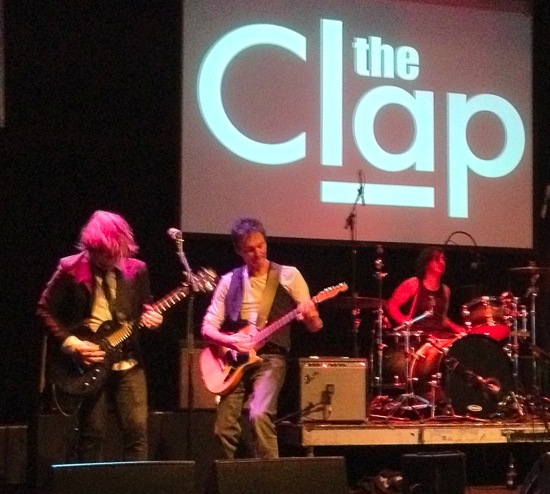 There were three bands on the night The Clap, Eazy Tyger and The Harleys; each different sorts of awesome. If you get a chance to see any of these, take it. I suspect you won't be disappointed. As a clever touch, Pat had even arranged a couple of buskers to entertain as the bands changed over. I drank a pint or two and did some minor guitar-tech stuff for Pat, who played a few songs with the bands. Rather splendidly, he played his Haze Blue Collar guitar. You can call me biased if you like but, damn, it sounded great. Thanks to Pat for the shout-out on the night and for organising a night of great music.